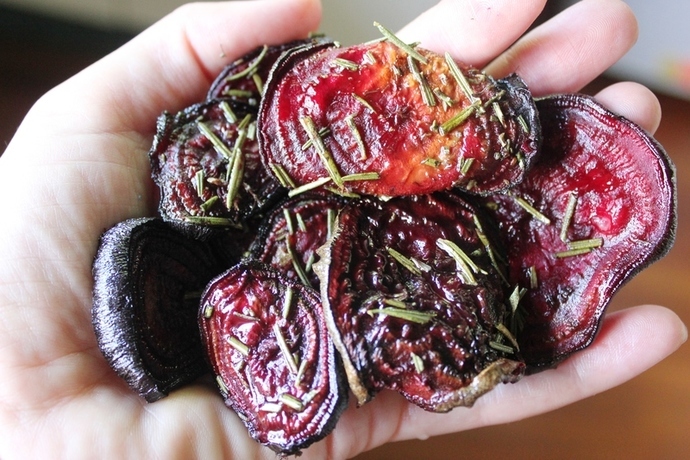 Healthy and addictive, these bite size beetroot chips provide the perfect afternoon or pre dinner snack. 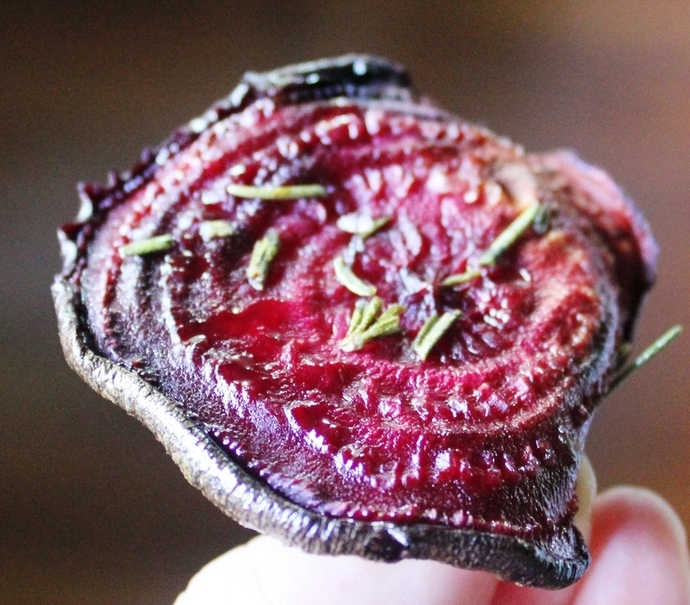 The aromatic flavor of the rosemary combines with the natural sweetness of the beetroot and the reward is an unusual chewy and crunchy treat. 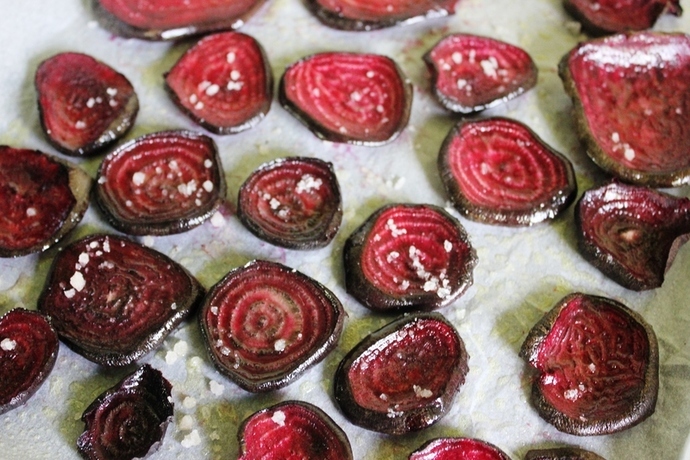 Wash and peel the beetroots, then slice them into thin circular shapes. 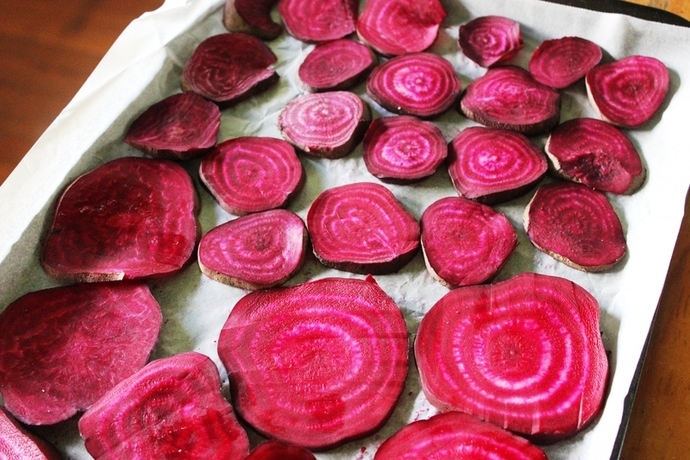 Lay the beetroot slices on a baking tray lined with baking paper. Bake them in a moderate oven for twenty minutes. 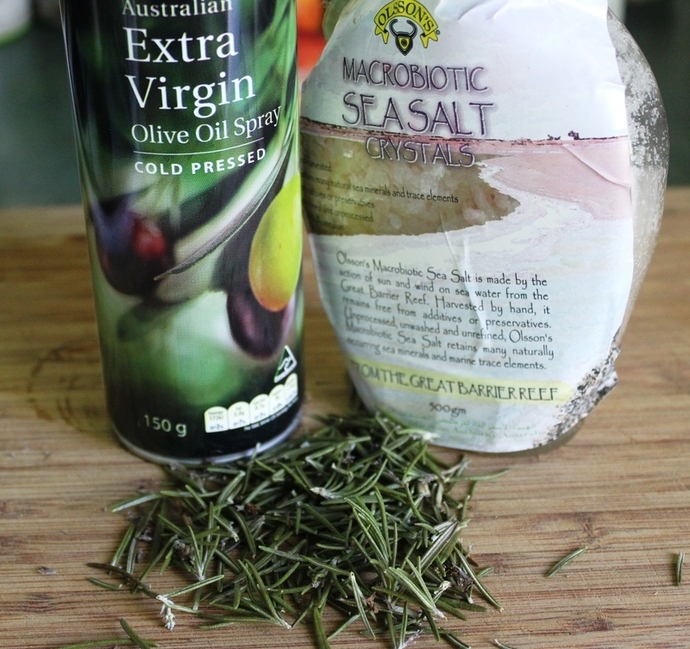 Spray the beetroot slices with olive oil and sprinkle them with sea salt and freshly chopped rosemary leaves, then turn each slice over and spray the other side with olive oil and sprinkle with sea salt and the remaining freshly chopped rosemary leaves. Return to the oven for a further 40 minutes. Check every ten minutes to ensure they do not burn. 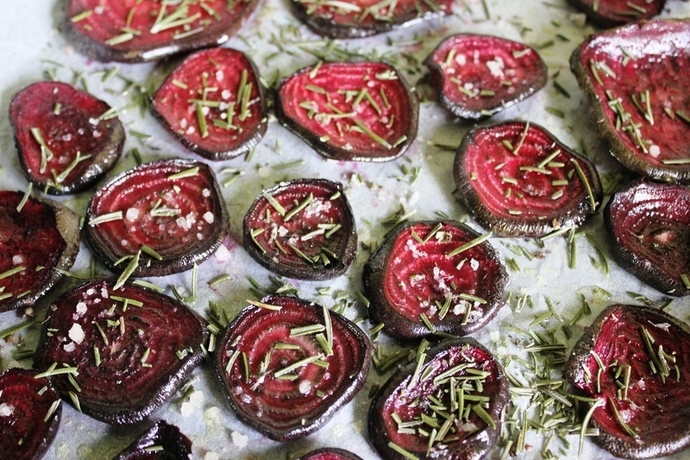 Remove from the oven when the beetroots have reached your preferred crunchiness (longer for a more crunchy texture, less time for more chewy texture). Serve hot or cold and try not to eat them all at once. I think these would be perfect to take along to liven up your next outdoor picnic. Enjoy.